To find out when an area is declared, you can visit the ODF Wildfire website and click on Forest Restrictions and Closures section. There you can find links to an overview of the Industrial Fire Precaution Level (IFPL), closures and other information about fire regulations and restrictions. If you choose the Current IFPL/Public Use (Regulated Closure) Chart you can find the fire level precaution for each of the ODF Forest Protection Districts by clicking on that district. Changes in precaution level and closures will be posted there over the summer, so it is a good idea to monitor this information throughout the season. A) 1 shovel with a minimum 8-inch wide face and a minimum 26-inch length handle, ready for immediate use. B) 1 axe or Pulaski with a minimum 26-inch length handle, ready for immediate use. 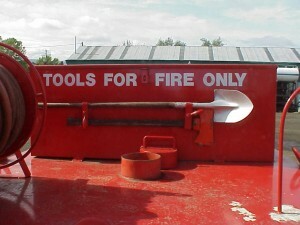 C) 1 approved A,B,C extinguisher, 2.5 pounds or larger (preferably 5 pound minimum), ready for immediate use. D) Exhaust system with muffler in good operating condition. Be sure you, your family or others using vehicles on your property are aware of this. I generally make it a habit to carry these tools in my vehicle all summer. 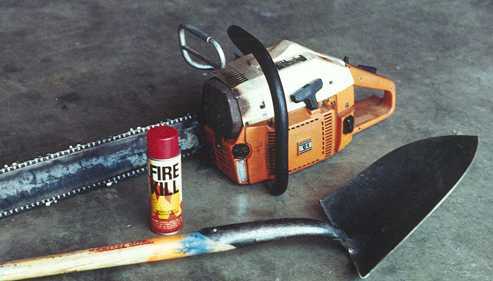 Additionally, if you are using a chainsaw, each saw must have a shovel (meeting above standards), ready for immediate use; an 8-ounce (larger preferred) fire extinguisher, ready for immediate use; the standard exhaust system (spark arrester screen) must be in good operating condition; and the operator must stop the saw before fueling and move the saw at least 20 feet from fueling location prior to starting. Please be FireWise, alert, aware, and pro-active in fire prevention. Be aware of how and where you park your vehicle, since exhaust system components have been known to ignite dry grass. 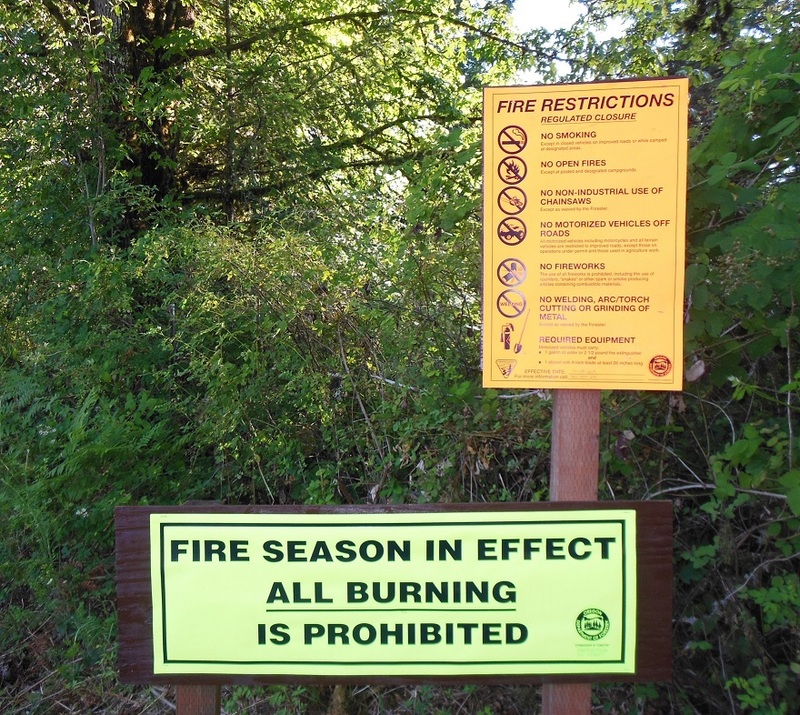 We’ve had a number of reminders recently that western Oregon is primed for wildfire each summer. You don’t want to be part of the next one. At our home, my wife has resolved to work on emergency preparedness this year. Sure, we have a pantry full of food, jugs of water, flashlights and batteries. Heck, anyone living in a rural area keeps those things on hand for comfort in semi-regular storm events. It is never really too early to think about fire season. 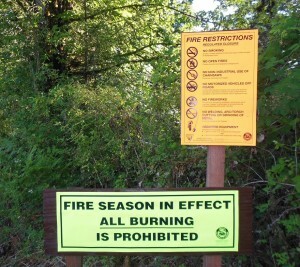 With fire season comes rules and regulations that affect both the general public and forest landowners. Nearly everyone is affected by some, such as rules for basic fire tools to be carried when driving on forest roads during regulated use as reported last summer.